If you’re looking for an outstanding hotel in Tel Aviv, there’s only one place you need to consider: The Shenkin Tel Aviv Hotel. This hotel offers everything you’d want from lodging in the city including great food, an amazing spa, a sundeck rooftop, and incredible guest rooms. If you’re looking for a place to stay next time you’re in Tel Aviv, this is the place. 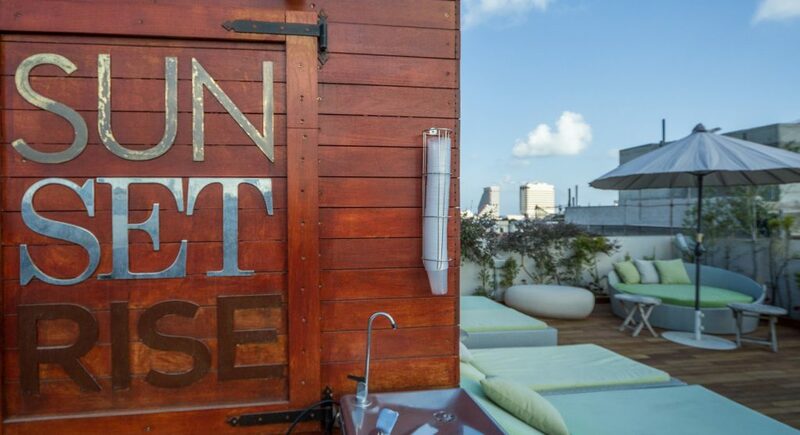 Take a look at everything you’ll find at the Shenkin Tel Aviv Hotel. If you’re stressed and tense from your flight or from a long day in meetings, the best hotel in Tel Aviv has you covered. You can book a number of different types of massages, including Swedish massage and the hotel’s special Shenkin massage, and let all your worry and tension fade away. The professionals who provide these massages even do reflexology and pregnancy massages. Some hotel breakfasts are definitely not that impressive, but not here. You’ll have your choice of visiting one of the nearby cafes for an outstanding breakfast consisting of handmade pastries, freshly brewed coffee, and dessert. Return for pasta and fresh salad at lunch or pick up some pastries and desserts for later. All of this is within walking distance of the best hotel in Tel Aviv. The hotel’s rooftop terrace takes advantage of the area’s perpetually warm climate by creating an area where you can relax in the sun, take a nap in a hammock, or read your favorite book while enjoying specialty drinks made to order. The best hotel in Tel Aviv has one of the best views of the city, too, with its panoramic view of the surroundings. There’s no better way to end your day than watching the spectacular sunset from the rooftop.